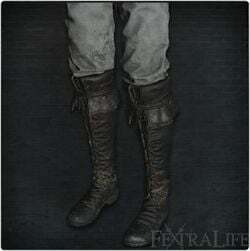 White Church Trousers/Dress is a Leg Armor/Attire in Bloodborne. It is part of White Church Set.
" Attire of special Church doctors. They believe the Trousers/Dress medicine is not a means of treatment but rather a method for research. and the Trousers/Dress some knowledge can only be obtained by exposing oneself to sickness."